Posted in: Art, Music, Photography. Tagged: Aicha, Algeria, Asad Faulwell, Cheb Khaled, Collage, Djamila, Djamila Bouhired, Islamic, lithograph, warrior-hero, women's rights. "21-plate variable edition lithograph mounted on Komatex, with collage, photographs, painted map tacks, and gold pins. Asad Faulwell's art references the complexity of world politics and recognizes that nothing is easy. Djamila is a portrait of Djamila Bouhired, an Algerian woman who fought to liberate Algeria from France in the Algerian War of Independence (1954-1962). In Paris, Djamila was tried and convicted as a terrorist but then later pardoned. Today she is a women's rights advocate. Here, Faulwell depicted Djamila as a warrior-hero, using gray tones for her face that evoke stone sculptures of war heroes. 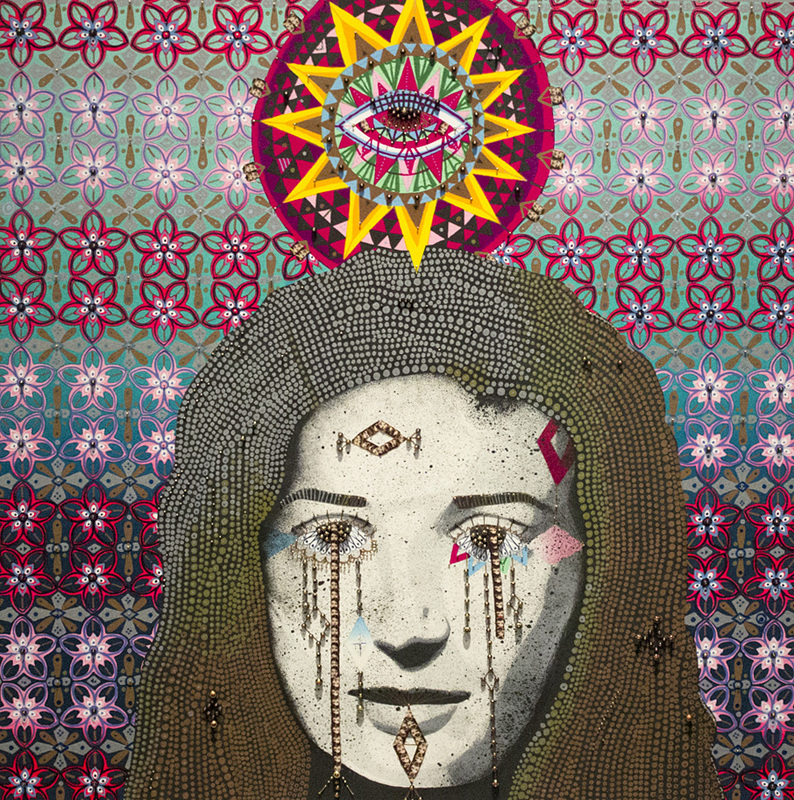 Background patterns allude to Islamic religious works, further elevating her status."